Many a times, singer-song writer Miley Cyrus and Hollywood actor Liam Hemsworth were seen together again for the recent months. It looked like romance got it's way back for the two because according to E! News, the ex-couple has the potential of getting back together. E! News also revelead that Miley's feelings toward her ex-fiancé never really changed at all and always wished that they could get another shot on their love story while on the other hand, Liam seemed to show interest to that possibility. The two even celebrated the yuletide season in Liam's homecountry, Australia, together with his family. And though Miley had returned to LA already, some of their mutual friends attested that Miley did enjoy her ex-boyfriend's company and so was his family's. Cyrus and Hemsworth were also spotted in couple of more events like the Falls Music Festival in Byron Bay with the Hunger Games star's family. It showed that Liam's family still approved of Miley after all these years. 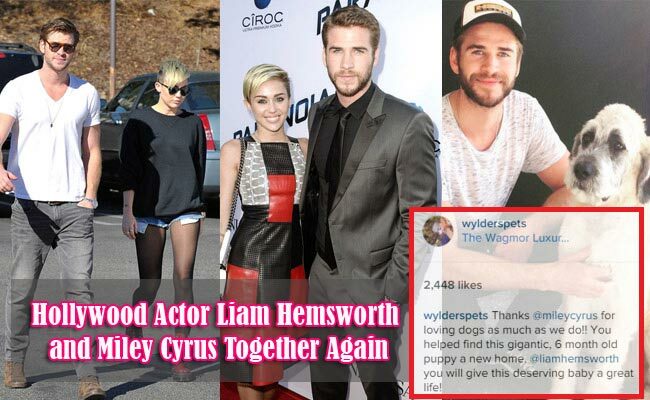 As a proof, Liam's sister-in-law and Chris Hemsworth's wife, Elsa Pataky even said that "she loves to be with people she can be crazy with" and posted a picture of her, Miley, and some of their friends on her Instagram account. Miley Cyrus and Liam Hemsworth were engaged way back 2013 but also broke up in the same year. Their break-up made an impact to their fans and to Miley herself. Wrecking Ball singer's drastic physical changes were concluded to be a result of the cancelation of the engagement. This rollercoaster love affair is something we , MiAms, surely will take a closer look since we can obviously expect more from this couple.